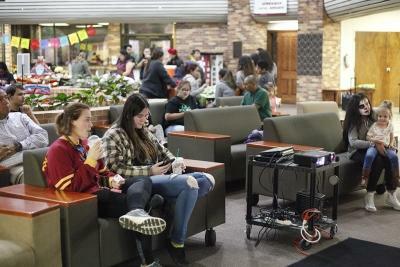 Colorful tables surrounded the Clark Student Center atrium, while the movie “The Book of Life” played in the background. 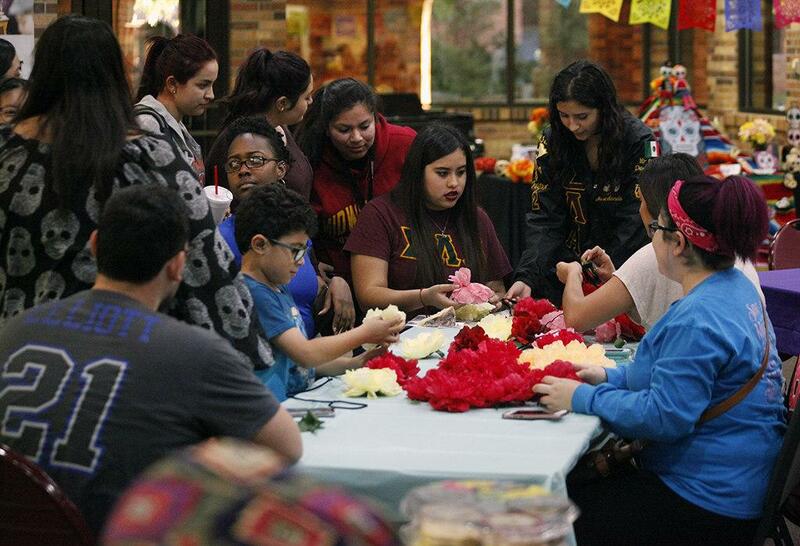 About 49 people made their way around the stations for Día de Los Muertos, which included sugar skull cookie decorating, sponsored by the University Programming Board; flower headband making, sponsored by Kappa Delta Chi; marshmallow decorating, sponsored by Sigma Alpha Lambda; refreshments, sponsored by the Bilingual Education Student Organization; and face painting, sponsored by the Organization of Hispanic Students. 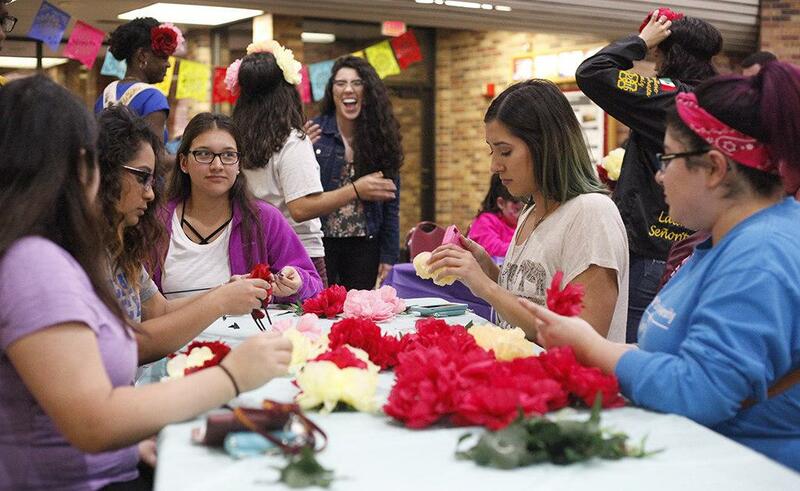 “Each organization came together and brought their own thing or activity,” Patricia Ramirez, bilingual education senior, BESO president and OHS treasurer, said. 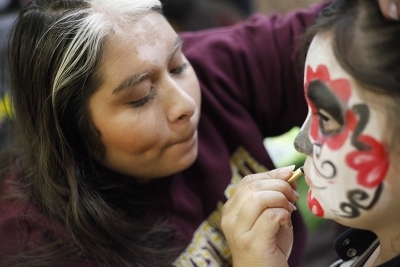 Día de Los Muertos, or Day of the Dead, mostly celebrated in Mexico, is meant to celebrate the lives of dead loved ones. 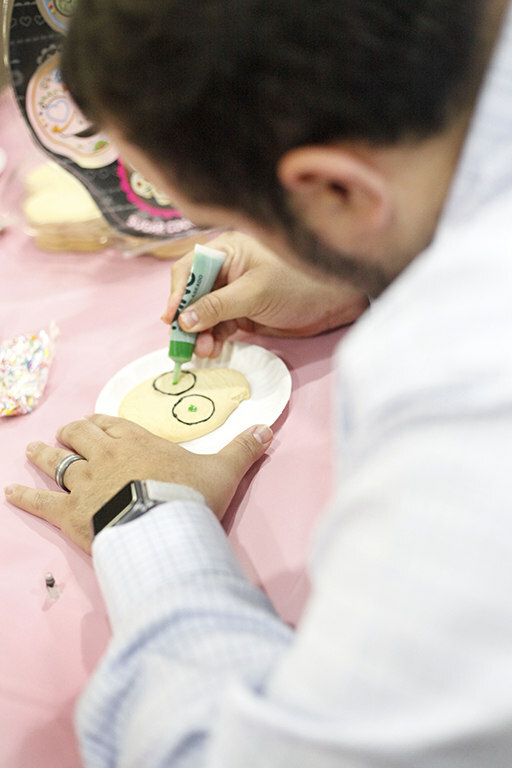 Families clean and decorate their loved ones’ tombs with flowers, specifically wild marigolds, candies, food, art and sugar skulls. They believe keeping their spirits happy would bring the family protection, good luck and wisdom. 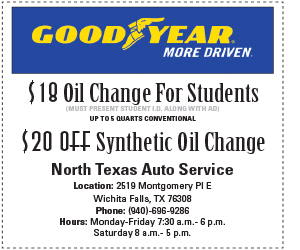 It is celebrated annually from Oct. 31 to Nov. 2. Celeste Gallardo, marketing sophomore, said she had the privilege to celebrate Día de Los Muertos in Mexico before. Ofrendas or altars, are constructed in the families’ homes and are also decorated with flowers, skulls, bread and water. Student volunteers and BESO members set up an altar with a serape, sugar skulls, flowers, a papel picado banner and pictures chosen by the volunteers of people they wish to honor. 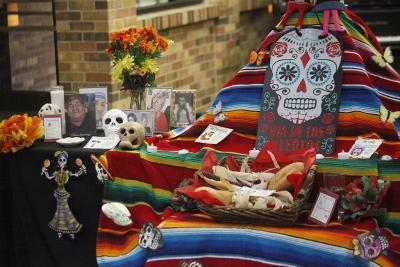 “Anyone could pass by and leave pictures,” Ruby Arriaga, activities coordinator for student involvement, said. A picture of Robert Grays was displayed among others, including Selena Quintanilla and Carrie Fisher. 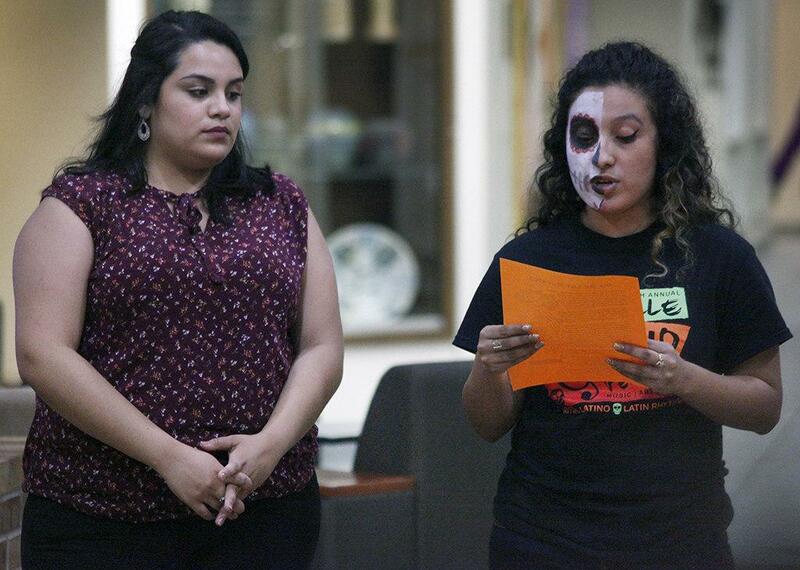 Maria Garcia, theater and criminology freshman, said Día de Los Muertos is meant to feel closer to them instead of mourning. She said it’s important for students to learn about the celebration because they may want to join in on the celebration, but it may not be for everyone. D’Aron Clayton, pre-dental biology senior and low-budget no-budget co-chair for UPB, said he was fascinated by the event when he heard about it being in the works. He said it’s important to know about all the cultures MSU has to offer. Other students, including Yerasly Duran, nursing freshman, shared Clayton’s sentiments.